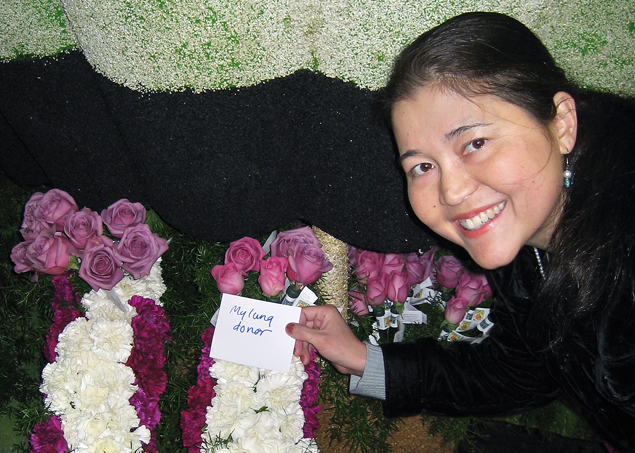 Helping to decorate the Donate Life float for the 2010 Rose Parade, Anabel Stenzel drew a deep breath and let out a quiet sigh as she looked around, taking in the wonder of the flurried activity. A twinkling star of humanity was dimmed Sept. 22, when Stenzel, a survivor of a life-long battle against cystic fibrosis and advocate of organ donation rights around the world, succumbed to cancer at her home in Redwood City. Just three days after birth in 1972, Anabel and her twin sister, Isabel, were diagnosed with a genetic disorder that ultimately leads to catastrophic failure of the lungs. Doctors told her parents – a Japanese mother and German father – that the girls likely wouldn’t live past their 10th birthday. With three lung transplants between them, the Stenzel girls defied the odds. Many with CF die in their 20s or 30s unless a transplant is performed. It is also exceedingly rare in Asians. As the twins grew into adulthood, they began to fully grasp not only the weight of their unlikely survival, but also how the same opportunity was being denied to others who shared their affliction. Anabel, who worked as a genetic counselor at Stanford University Hospital, learned how poor state funding for organ donation in Japan was, if available at all, and that any outreach support was woefully lacking. She further discovered that organ donors were – and to a great extent, still are – few and far between. It wasn’t until July 2009 that a law was enacted there that allowed more liberal government regulation in organ donation, which included transplants for children under the age of 15. Before then, families were forced to raise funds on their own, often into the millions of dollars, to come to America and be placed on waiting lists here. Because of the dismal Japanese organ donation rates, many other countries have closed their wait lists to Japan nationals. Further confusing those in need of organs in Japan was – and still is, to an extent – the varying definitions of brain death. The law had traditionally allowed a diagnosis of brain death only for those who have previously registered themselves as organ donors, otherwise there was no brain death. 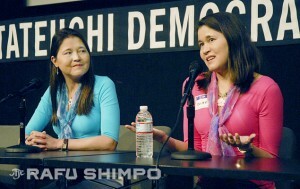 In 2007, the twins shared their own story and brought focus to the benefits of organ and tissue donation in their book, “The Power of Two: A Twin Triumph Over Cystic Fibrosis.” The following year, the work was translated into Japanese and the Stenzels embarked on a speaking tour there, visiting nine cities, from Sendai to Okinawa. They gave some 20 speeches, in Japanese, to medical students, government representatives and members of transplant communities and the general public. In the years following the publication of their book, the Stenzels lobbied governments, gave speeches, organized donor drives and made countless appearances to explain the benefits of organ and tissue donation. Anabel’s first transplant took place in 2000, when she received the lungs of a man by the name of James Dorn. The twins constantly spoke of the great fortune they felt with each passing day, simply being able to draw a breath. 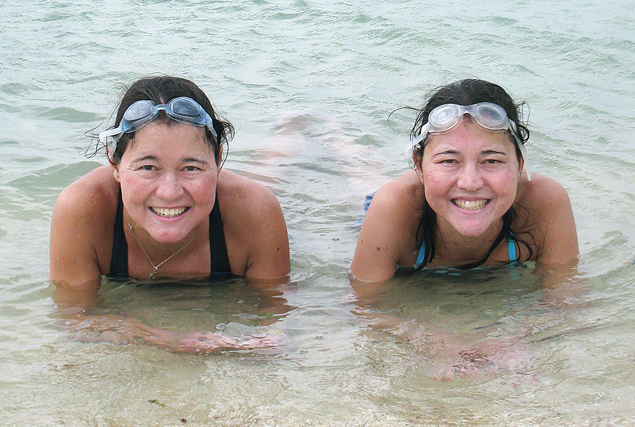 They swam, went hiking, and took part in the U.S. Transplant Games, winning gold medals in swimming and running. They were board members of Cystic Fibrosis Research Inc. and other nonprofit agencies. Isabel even took up the bagpipes, to celebrate the air that filled her lungs. 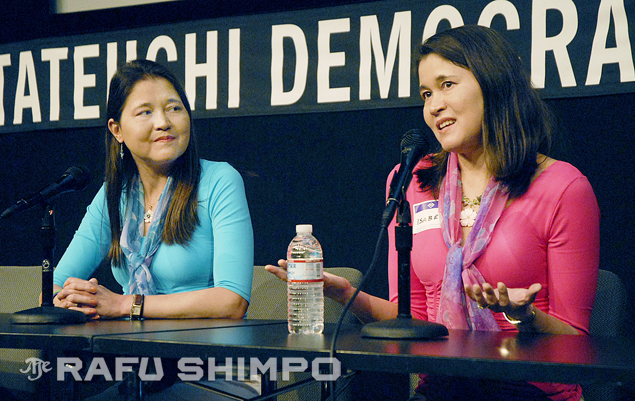 In June 2010, the Stenzels discussed the documentary based on their lives, “The Power of Two,” at the Tateuchi Democracy Forum in Little Tokyo. That same month, Anabel was married to Trent Wallace, whom, despite knowing the uncertainty of her lifespan, was “the strongest, most loving, most patient person,” she said she had ever met. The Stenzel sisters (Isabel left, Anabel right) celebrated every breath they took, participating in swimming, competing in the U.S. Transplant Games, and in Isabel’s case, even learning to play the bagpipes. As the 2009 law began to take effect, doctors in Japan were allowed to declare a child under six years old brain dead, paving the way for the family to make his organs available to other children in desperate need. In July 2012, the organs of an approximately six-year-old boy were made available for the first time in Japan, after the child was declared brain dead. It was the challenges of her own condition that finally overwhelmed Anabel Stenzel. Soon after the documentary’s release, she was diagnosed with small bowel cancer, a rare complication to sufferers of cystic fibrosis who have reached their 40s or 50s. Anabel shared her fight with the cancer over the next two years, in her continued advocacy and on Facebook, and remained positive – even lighthearted – as the diseased progressively ravaged her body. “You know you are getting closer to the [expletive]cancer stage when your weight and heart rate are approaching the same,” she wrote at one point. A great irony is the fact that her donated lungs, according to Isabel, were functioning perfectly, right up to her last breath. Cruelly, her developing cancer meant that her organs may not be donated for transplant, though the corneas of her eyes were. Memorial services for Anabel Stenzel will be held at 2 p.m. this Saturday, at Valley Presbyterian Church in Portola Valley. The family also welcomes donations to Cystic Fibrosis Research Inc. and the California Transplant Donor Network. Gifts can also be made in Stenzel’s name to a CF oncology research fund at https://makeagift.ucsf.edu/stenzelfund. As an adult, after reaching countless sufferers of CF and their families who had abandoned hope, she strived to deliver a message that will live well beyond her years.